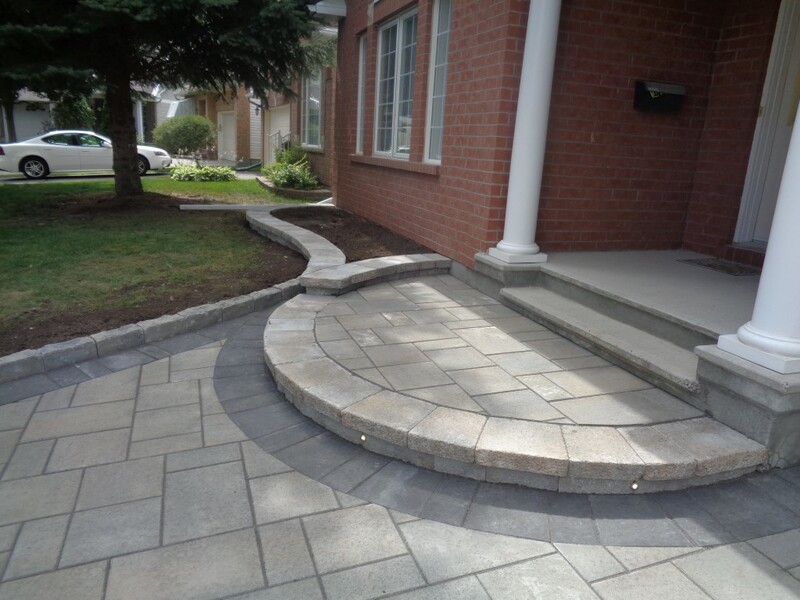 We can integrate interlocking brick and stone into your landscaping. 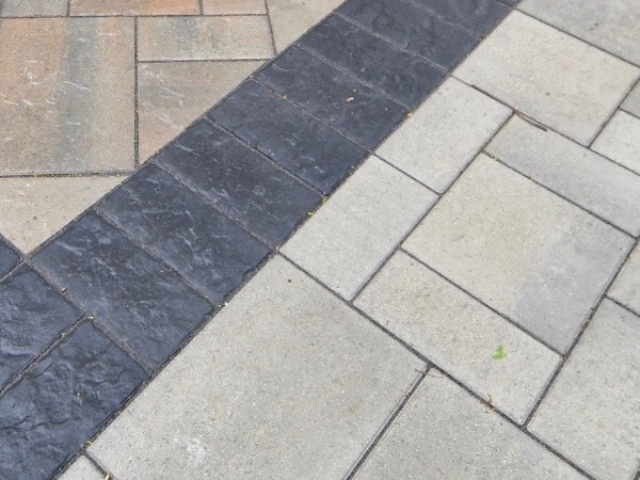 Interlocking bricks aren’t the most inexpensive building material to work with because of the additional labour required to install them correctly. 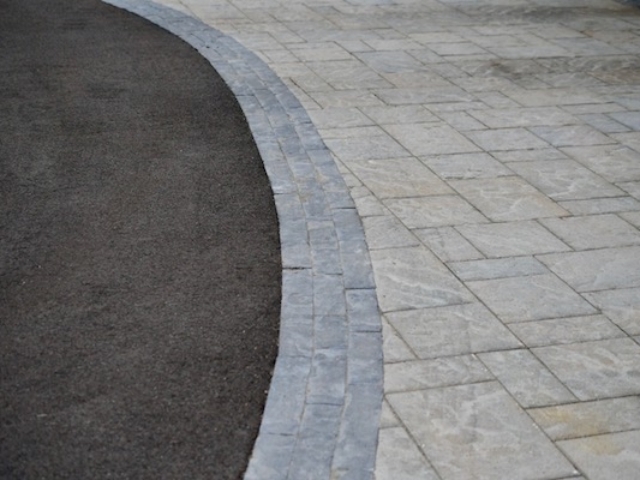 They are however, a very stunning landscape feature when they’ve been installed by a professional, offer many years of service and are very easy to maintain. 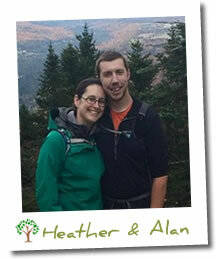 Alan’s Landscaping and Heather’s Gardens (ALHG for short!) 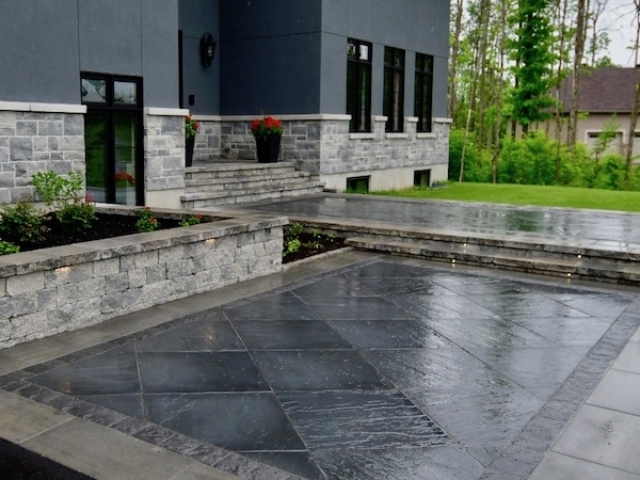 is a family owned and operated landscape design and construction company based out of Ottawa. 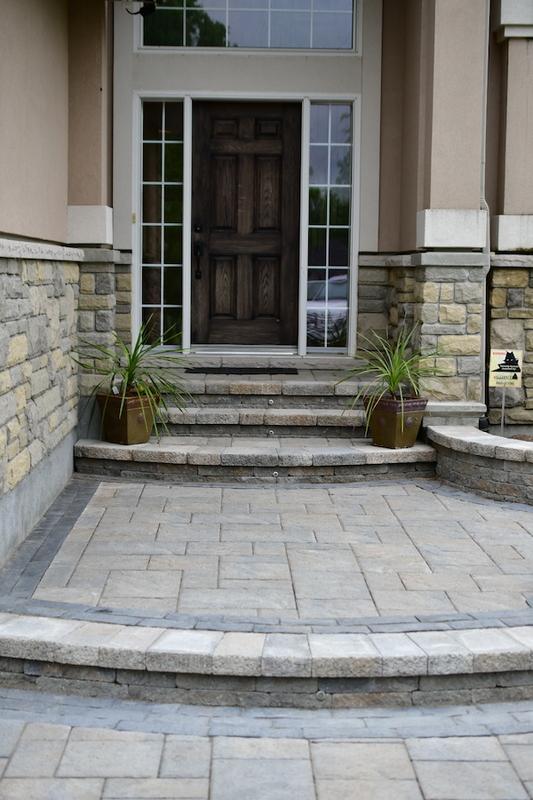 We are experts in interlock brick installations. 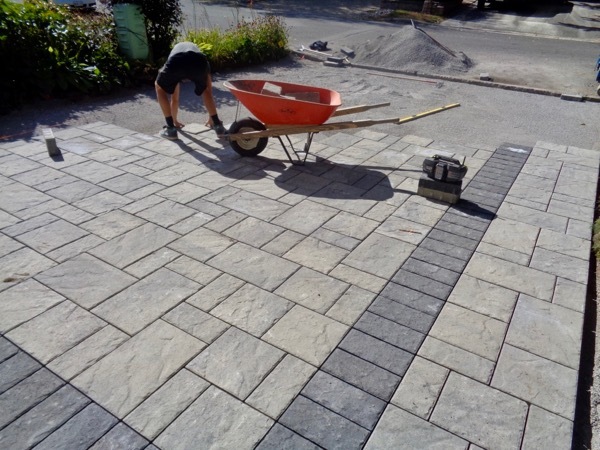 Heather, is our in-house landscape designer and Alan, is the construction brawn that can build Heathers designs into something real! 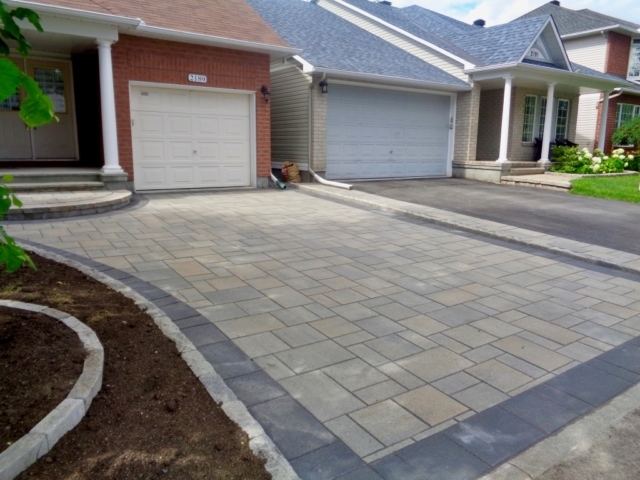 From a new brick paver driveway to a beautiful new entry porch for your home or a natural stone patio in your backyard, we can help. 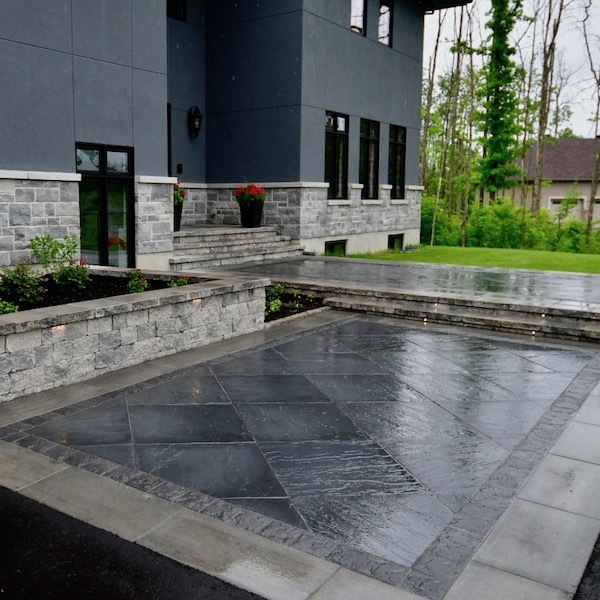 The amount of work required for this type of landscaping project can vary greatly from property to property dependant on many factors. The slope of your property, existing site conditions, drainage, size and scope of the project, and your budget will all be considered. 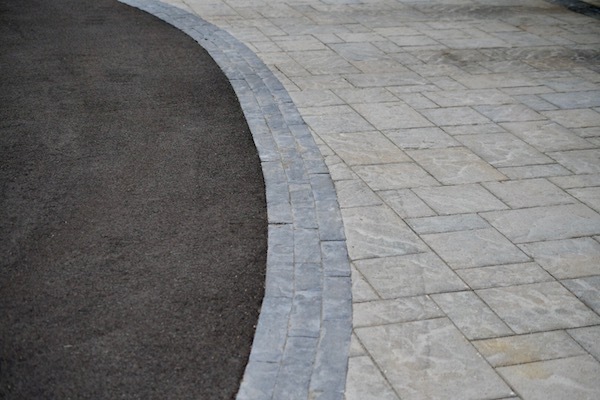 We’ll be able to offer you an accurate estimate only after an initial site visit and material consultation. Why Choose Alan and Heather To Install Your Interlocking Brick? 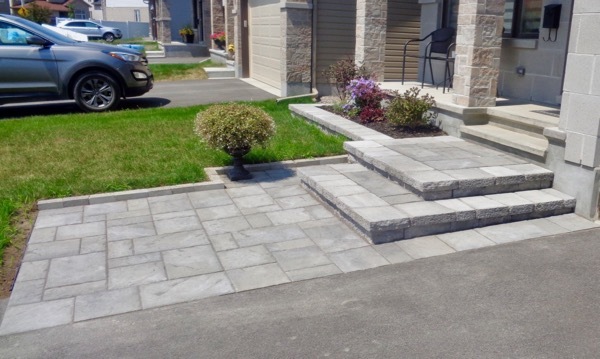 When you choose ALHG for your interlocking brick installation you are partnering with a small, locally owned, family run landscaping business. With Alan specializing in Construction and Heather specializing in landscape design they are the perfect team to help you transform your property into the envy of your neighbourhood. 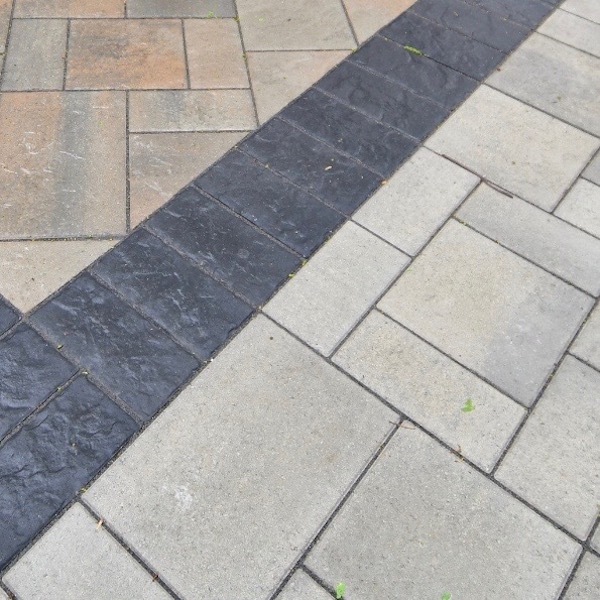 The ALHG team is large enough to install interlocking brick and stone for outdoor hardscapes of all sizes but we’re still small enough to give your new brickwork the specific care and attention it needs to be durable and long-lasting and make the big impact on your curb appeal that we’ve promised. 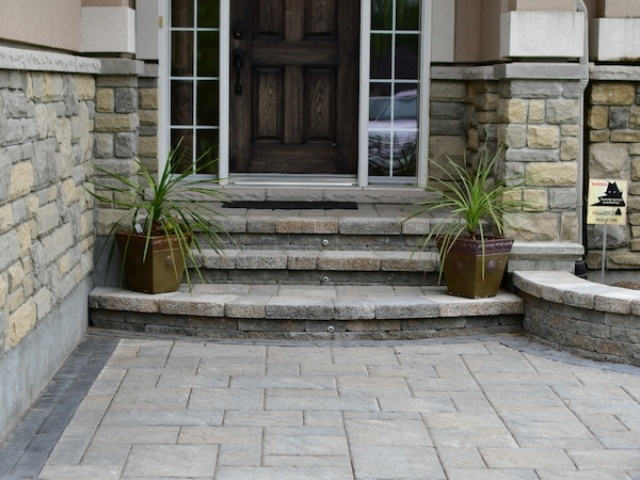 We believe in providing great service and value along with complete customer satisfaction with every project we complete! 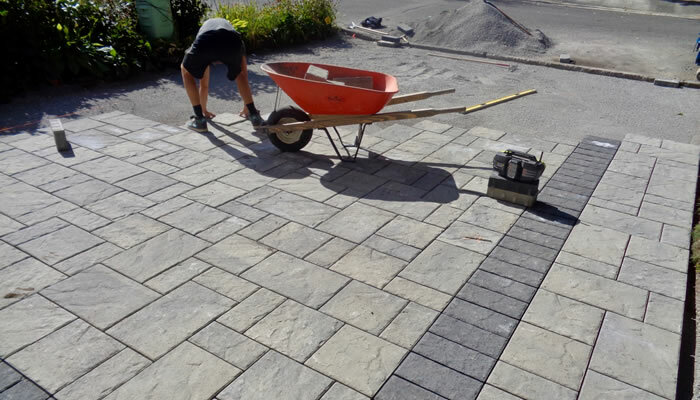 We conduct ourselves like true professionals on your property at all times, leaving no trace behind but your new interlocking brick! 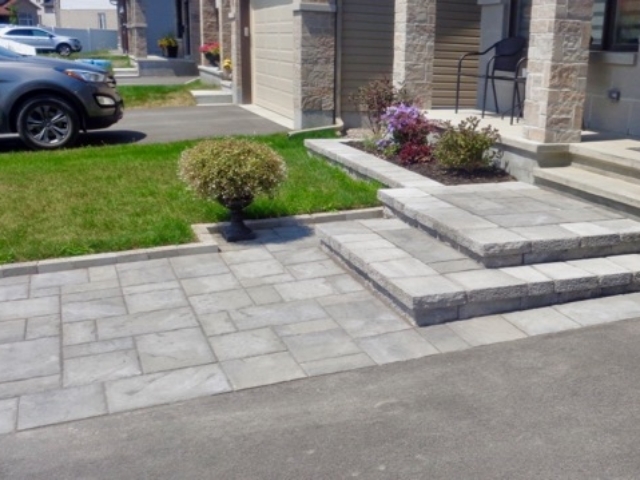 If you’d like an estimate for interlocking brick or paver installation services please give us a call (343) 262-4769 or fill out our contact form and we’ll get right back to you.